Fred Harrison is Research Director of Land Research Trust, London. After a career as a Fleet Street investigative journalist, he was a consultant to a number of Russian academic and political bodies, including the Duma (parliament), in their efforts to implement a more equitable transition to a market economy. Recently he has turned his attention to the failure of economic analysis and public policies in the market economies. Fred Harrison draws on global-wide case studies to show how the violent birth of nation-states, whether the result of territorial conquests or colonialism, splits the population into two classes, victors and vanquished. This division is perpetuated and legitimated through the system of land tenure. The pathological consequences – as diverse as failed states, organised crime (mafia), religious fundamentalism and the re-emergence of piracy – are the result of the violent uprooting of the original inhabitants from their homelands. Understanding the territorial basis of political power and wealth is the pre-requisite, Fred Harrison argues, for making sense of issues as diverse as genocide, narco-gangsterism, terrorism and fascism. 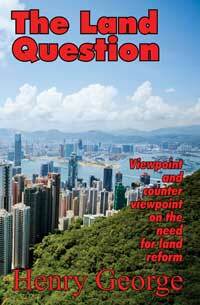 The struggle over land and resources, he contends, is at the root of all of today’s global crises. Some attempts are being made to restore land to those in need, ranging from the offer of land in Afghanistan to the Taliban as an inducement to set aside their violent strategies, to the sharing of the rents of oil in Nigeria to entice eco-warriors into mainstream politics. But these piecemeal tactics fail to synthesise the conditions for peace and prosperity. 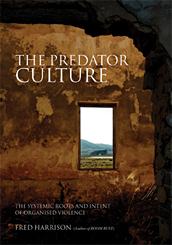 The Predator Culture provides a framework for truth and reconciliation in what has become a violent world that is slipping dangerously out of control.